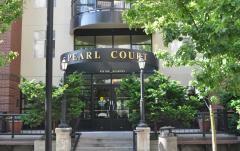 Featuring a spacious lobby with fireplace and library, and located close to shopping and transit. Pearl Court is a five-story apartment community with 199 studio, one and two bedroom homes. It serves residents earning between 40% and 60% of area median income. Located in the Pearl District between Kearney and Johnson Streets, it is close to transit, restaurants, shopping and services. 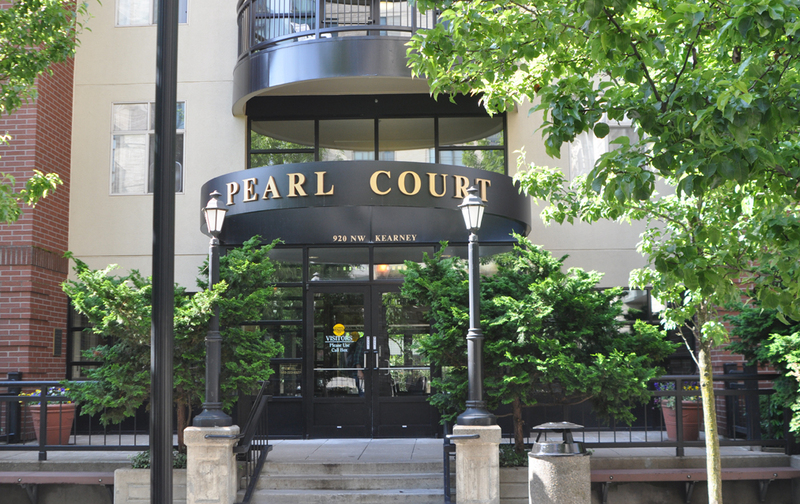 Located in the heart of the Pearl District, Pearl Court features flats and townhome-style apartments. This controlled access building has a private open-air courtyard, bicycle storage, laundry facilities and parking garage. Pearl Court has a spacious lobby with fireplace and library, and is close to shopping, galleries, restaurants, a post office, the Portland Streetcar, and freeway access. Applicants must have annual income that does not exceed 60 percent of the area median income for their family size. Managed by Income Property Management Co.